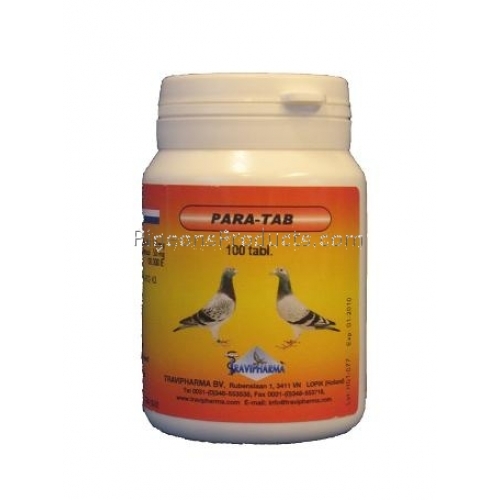 Para-Tab by Travipharma is a mixture of antibiotics and vitamins of group B, very effective for the treatment and prevention of salmonellosis and bacterial infections. - Intestinal infections caused by bacteria. - Preventive Treatment: 1 tablet per pigeon. - Curative treatment: 1 tablet per pigeon for 3-5 consecutive days.